To launch the year, Vic Firth unveiled two new series, the Freestyle and Symphonic series, to enrich the catalog of the most famous brands of drumsticks! 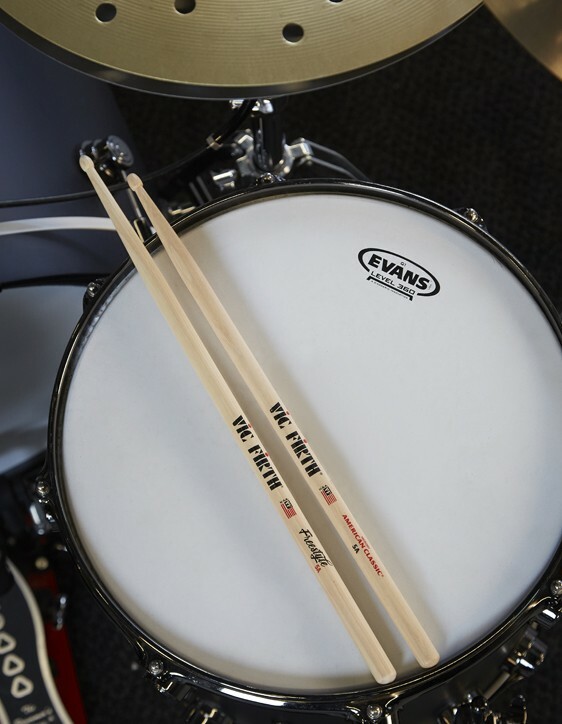 The inspiration for Vic Firth's new Freestyle was born from the freestyle spirit of longboard that seduced the firm's research and development team. These longboards hit the slopes with fluidity, control and style. These are exactly the characteristics that we find in this new series. All the drumsticks of the new Freestyle series have a length of 43.18 cm with an extra long neck. 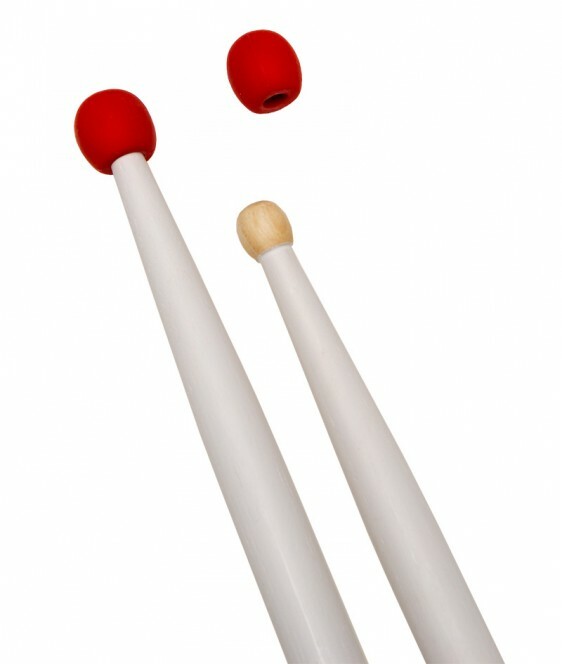 The combination of these two features allows the drummers to double their playing surface and achieve a greater range than they could have with a standard 5A rod. The only difference between the 5 different models lies in the diameter of the latter ranging from 1.37 cm to 1.52 cm. Symphonic Collection drumsticks, designed for Symphonic Orchestra drummers, are made from selected Persimmon, a wood that adds rigidity and dark overtones to these premium drumsticks. Evolution of the SD1, the SCS1 is slightly longer and fine. Its longer neck also provides an incredible response and dark harmonics. 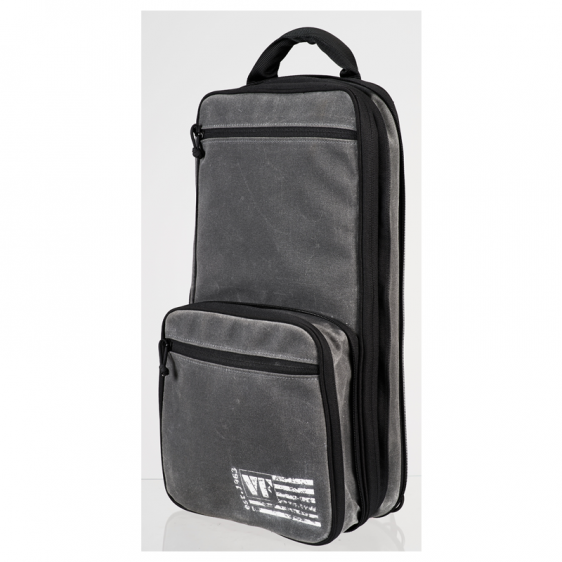 Whether you're on the go, or want to pack, the SBAG3 Professional Drumstick Bag is just what you need. With an even greater capacity to store drumsticks, sheet music, a tablet and many others, this bag combines style and practicality! Made from oilcloth for a stunning vintage look, this stick bag features an adjustable, detachable padded shoulder strap and padded handle for extra comfort. It also includes zips turned over to seal the bag. An additional pocket on the front of the bag adds some capacity to this must for nomadic drummers or in search of storage! These rubber training tips for marching adapt to all the sticks possible (drums, marching band, orchestra). The ideal tool to train or create interesting sounds on his drums and cymbals!